SAN FERNANDO CITY, October 26, 2017: In a bid to widen its reach and cater all of Pampanga, JENRA announces the inauguration of its newest branch slated to happen on October 27. Now on its fifth supermarket chain, the biggest homegrown retail player in the province continues its trademark of bringing value-for-money products and the best shopping deals for the Kapampangan locals. 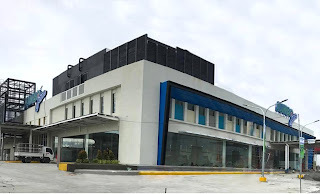 More than just a commercial center, the JENRA brand has grown close to the heart of the locals as it’s been a part of every household in the progressive province of Pampanga. The thrust of JENRA is to provide a venue for retail grocery shopping while offering affordable wholesale prices. As the brand continues to embody its signature of “Sa Presyo at Serbisyo Sigurado Ka,” JENRA already succeeded to be known to offer the lowest commodity prices among all retailers and wholesalers in the region.